On the putting green outside by the pond. Women Winemakers on site to pour their wines — available for tasting and able to purchase by the glass, and order from local wine shop. We're expecting 150 people. DETAILS: Maine and Loire hosts a tasting with Brianne Day. Brianne's wines will also be poured by the glass at Drifters Wife that evening. COST: Free admission to tasting at Maine and Loire. DETAILS: Join Sommelier Erica Archer and Executive Chef Gil Plaster on an unforgettable land and sea adventure of delicious proportions. Includes a select wine and grilled seafood tapas pairing from Bluefin restaurant in the Portland Harbor Hotel's lovely garden, a sea voyage to Great Diamond Island on a UB85 charter boat (with more wine and an appetizer, of course), and even more wine and tapas on the patio at the Inn at Diamond Cove, and at the hotel's Diamond's Edge restaurant. Along the way you'll hear about the history of Fort McKinley and Diamond Cove. Finally, enjoy dessert on the return voyage to the mainland. Brought to you by Bluefin, The Portland Harbor Hotel, Inn at Diamond Cove, Diamond's Edge, and Wine Wise. DETAILS: Old Port Wine and Cigar Merchants will celebrate its 10 year anniversary in its Commercial Street location on June 19, 2019. A wine tasting celebration with representatives from area distributors will be held from 4:00 to 7:00PM. The event is open to everyone and will highlight the success of the Commercial Street location as a fixture in the Old Port. COST: This is a non-ticketed event. All are welcome. No reservations. 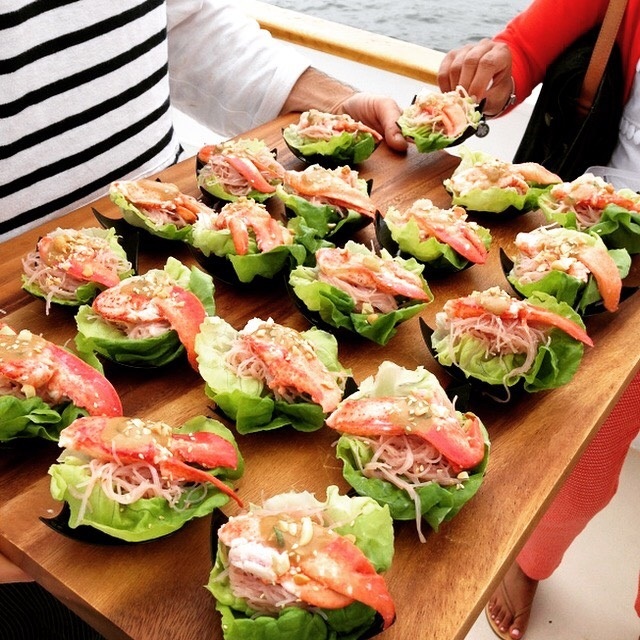 DETAILS: Join presenting sponsor Wine Wise for a gorgeous scenic wine sail on board the 74-foot Sailboat, Frances as you explore some delicious sparkling wines from around the world with Sommelier Erica Archer. You're in for an incredible wine education experience as you sail through Maine’s beautiful Casco Bay with scenic views of Maine lighthouses, islands, and waterways. 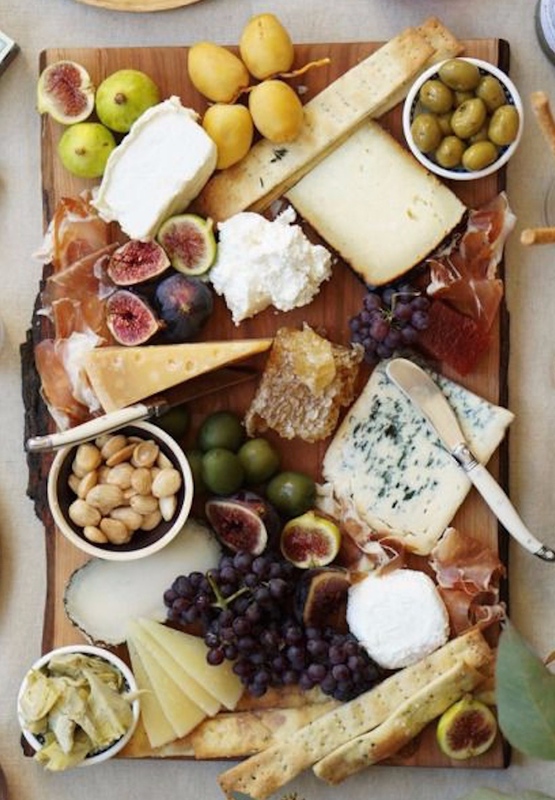 * Enjoy a selection of delicious cheeses, fruit, and nuts. DETAILS: For the first time ever, Cedric Guyot, one of the winemakers of Victorieux Champagne will be in Portland, Maine. Learn more about this fantastic grower-producer Champagne with Maine roots. Enjoy glasses or bottles of Victorieux Brut Tradition, Brut Rosé, and Millésime 2009 Champagnes with Eventide's famous Brown Butter Lobster Rolls and fresh shucked oysters! These Champagnes will be available open to close and Cedric will be on site from 12-3 PM and 5-8 PM. DETAILS: Join Sommelier Erica Archer, CWP, WSET Advanced for a gorgeous scenic wine sail on board the 74-foot gaff-rigged topsail sloop, Frances, built by her Captains and crew on Portland's waterfront as you explore some incredibly delicious wines from Spain that you'll love to have in your repertoire. DETAILS: Mary will be at Browne pouring her entire lineup of wines and will be available for questions or just an opportunity to pick her brain on the business of being an importer and a negotiant. Mary is extremely well traveled and versed in the world of wine and has a fantastic story to tell. DETAILS: Maine is beloved for so many reasons. One of them, for us, is the diversity of life that our Maine waters can provide. From farmed and wild oysters, clams, mussels, to pollack, hake, and crab, to sugar kelp. The list goes on and on. In this blind tasting of 5 wines (1/2 glass each) and Maine seafood pairings, Caleb and Justin will guide you through the primal, instinctual sensations of salty, bitter, sweet, and savory in this blind tasting and discuss their thoughts behind these great pairings before revealing the wines to the group. Presented by Justin DeWalt from Chartrand Imports, and Certified Sommelier Caleb Cole. With the partnership of Kit Paschal at The Shop. DETAILS: Historically a northern Italian concept from Genoa to Milan and Venice, Aperitivo Hour is flush with appetizing beverage and small bites. The goal is to be in the company of friends, food, and beverage—the true trifecta of a rich, social culture. On Thursday, June 20th, from 4-6pm, Solo Italiano will embrace this tradition and open its doors and patio to Portland Wine Week's visitors and showcase Aperitivo Hour's full, authentic experience. Chef Paolo will curate an array of complimentary small bites to pair with appetizing wines, vermouths, and/or wine-based spirit cocktails the responsibility of the guest. Opportunities to relax and taste your way through a flight of vermouth, while learning a bit about this dynamic of wine culture, will certainly abound. RESERVE: NO RESERVATIONS NECESSARY! JUST COME! 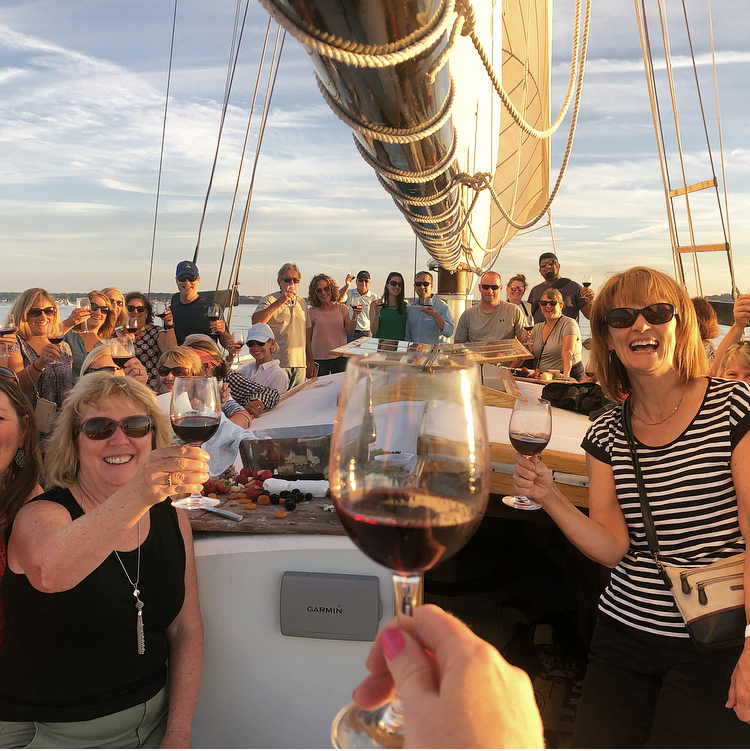 DETAILS: Join presenting sponsor Wine Wise on the first day of Summer, for a gorgeous scenic wine sail on board the 74-foot sailboat, Frances. Explore delicious white wines from renowned regions of the world. You're in for an incredible wine education experience as you sail through Maine’s beautiful Casco Bay with scenic views of Maine lighthouses, islands, and waterways. DETAILS: Join Sommelier Erica Archer, CWP, WSET Advanced, for a guided viticultural tasting and walking tour of Portland’s vibrant restaurant scene as you explore some incredible examples of delicious wines from France paired with delicious foods from four great restaurants. You're in for an incredible wine education experience. You'll walk away knowing how regional influences impact wine styles and quality, gain confidence in knowing how evaluate, select, serve, and pair wines, and describe what you smell and taste. Plan to learn a lot about wine and have a great time doing it. 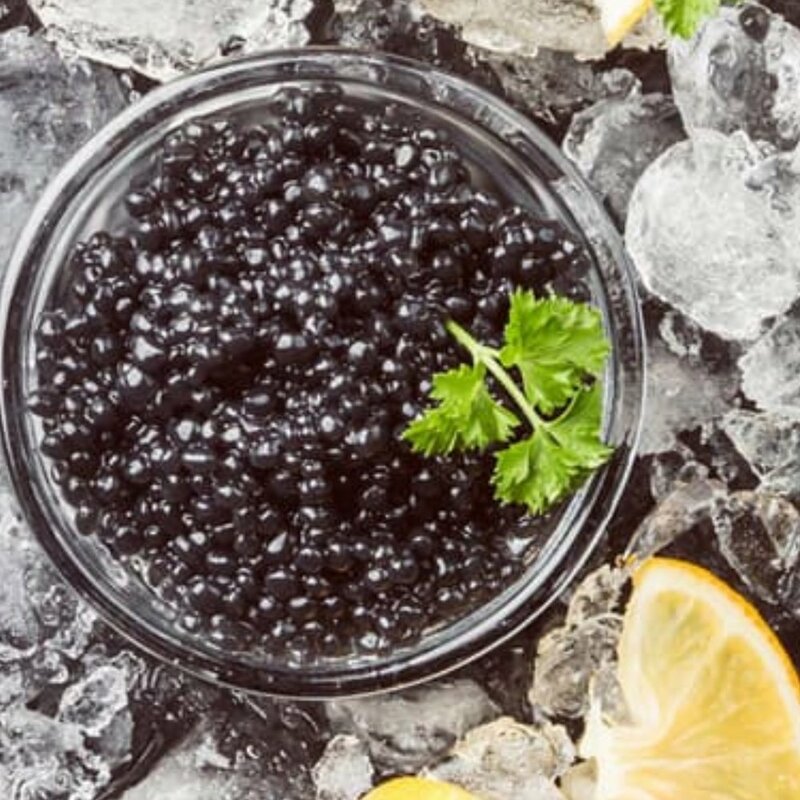 DETAILS: Join wine aficionado Karen Ulrich and Browne Trading caviar experts for a luxurious tasting of Billecart-Salmon vintage Champagne and fine American caviar. A marvelous tasting on a Portland Wine Week Friday afternoon. DETAILS: Join Sommelier Erica Archer and Executive Chef Paolo Laboa for a gorgeous scenic wine sail on board the 74-foot sailboat, The Frances, as you explore five incredibly delicious Italian wines that you'll love to have in your repertoire. Each wine will be paired with tastes of delicious crudos, cured meats, and dessert prepared by chef Laboa of Solo Italiano and a native of Genoa, Italy. You're in for an incredible wine education and food experience as you sail through Maine’s beautiful Casco Bay with scenic views of Maine lighthouses, islands, and waterways. 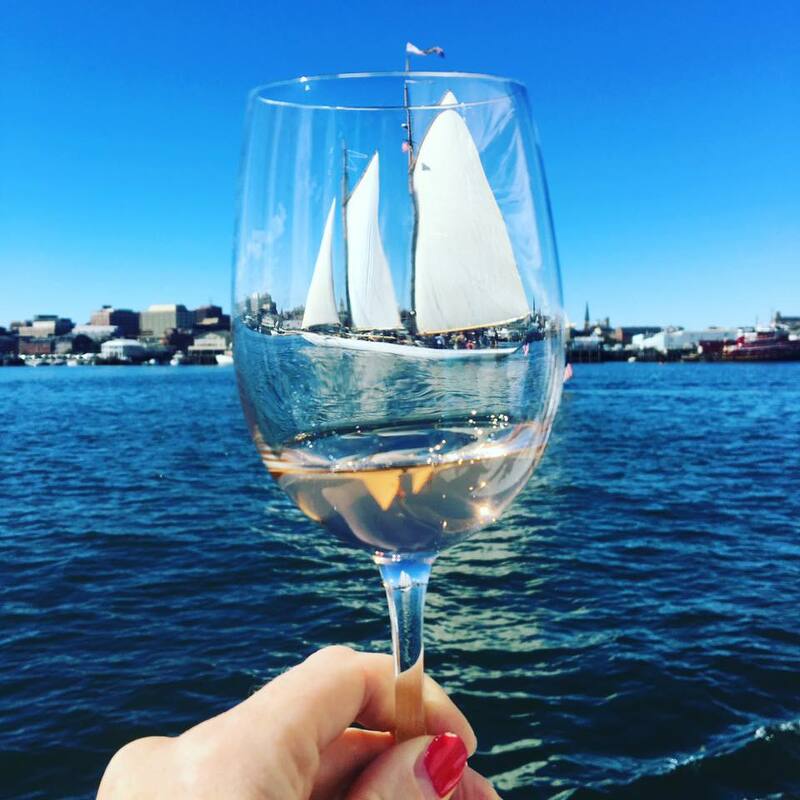 DETAILS: Join Sommelier Erica Archer, CWP, WSET Advanced, during Portland Wine Week in beautiful Portland, Maine, for a gorgeous scenic wine sail on board the 74-foot sailboat Frances, built by her Captains and crew on Portland's waterfront. You'll explore some incredibly delicious wines from France's renown Loire Valley that you'll love to have in your repertoire. 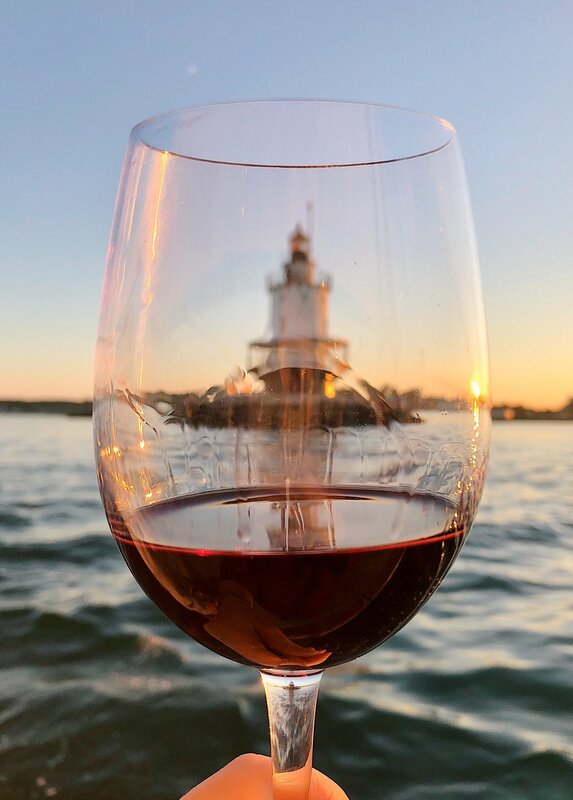 You're in for an incredible wine education experience as you sail through Maine’s beautiful Casco Bay with scenic views of Maine lighthouses, islands, and waterways .. all while indulging in a wine class. You'll walk away with knowing a lot about wine, how regional influences impact wine styles and quality, gain confidence knowing how evaluate, select and pair wines and describe what you smell and taste. DETAILS: Take a boat ride to a coastal Maine Island where Fort Gorges resides—enjoy a great wine tasting, charcuterie, and a tour of historic Civil War era fort. The perfect afternoon excursion. Tickets go on sale 5/1. Departure location (wharf) will be sent to ticket holders. This helps the business on the wharf avoid over-congested traffic. 2:15 is departure time from the wharf. 5:15 is the time you’ll be back on the wharf. COST: $75 and includes transportation, wine tasting with ned Swain of Devenish Wines, charcuterie, and a tour of Fort Gorges. This event is rain or shine. In the event of inclement weather the tasting will occur under cover. DETAILS: Join presenting sponsor Wine Wise and Chef Ilma Lopez for a gorgeous scenic brunch wine sail on board the 74-foot sailboat, The Frances, built by her Captains and crew on Portland's waterfront as you explore five incredibly delicious wines ... each paired with delicious brunch courses from acclaimed pastry Chef Ilma Lopez of Chaval & Piccolo restaurants in Portland, Maine. 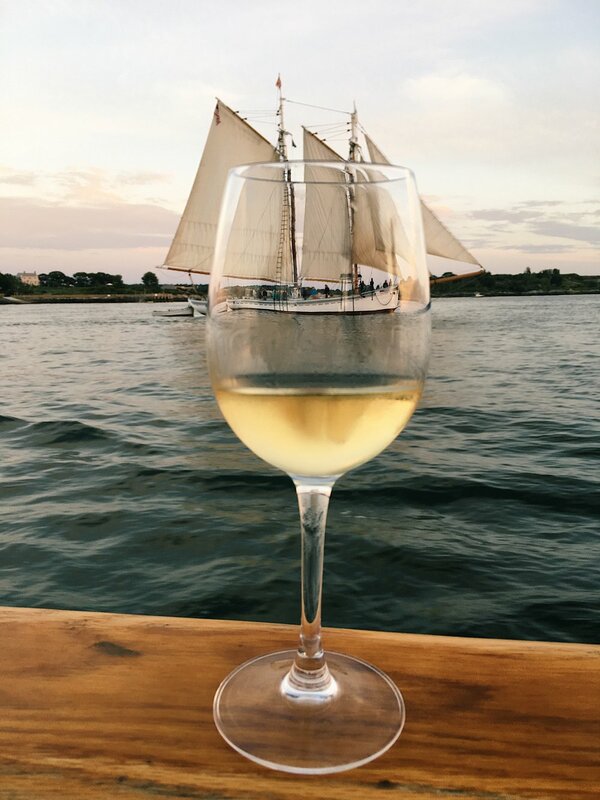 You're in for an incredible wine education and food experience as you sail through Maine’s beautiful Casco Bay with scenic views of Maine lighthouses, islands, and waterways .. all while indulging in a wine class. You'll walk away with knowing a lot about wine, how regional influences impact wine styles and quality, gain confidence knowing how evaluate, select and pair wines and describe what you smell and taste. And no doubt you will taste and learn a lot about the incredible food that Chef Lopez has made for you. Chef Ilma Lopez has worked in some of the most demanding and rewarding kitchens in the industry, such as DB Bistro, Corton, Tailor, El Bulli, Café Boulud, and Le Bernardin. When she left New York City to the quieter reaches of Maine, Lopez found a new terrain she couldn’t resist. Arriving with a mastery of colors, flavors, textures, and spices—and a seasoned ability to work under pressure—Lopez makes classic dishes her own, with attention to micro-detail and thoughtful twists. For her work, Lopez earned a 2014 StarChefs Coastal New England Rising Star Pastry Chef Award, Has been a multiple-time James Beard top-Chef finalist, and you may have seen her name in the September issue of Bon Appetit Magazine highlighting her incredible talents when naming Portland, Maine as their pick for Restaurant City of The Year. The menu will be available close to the date of the event as Chef takes his inspiration from only the freshest local ingredients. Due to the nature of this event we regret that we cannot accommodate food substitutions. DETAILS: Drifters Wife will be serving up their delicious burger and pairing it with sparkling wines from Savio Soares Selections. Savio Soares will be there for a meet and greet. About Savio Soares Selections: "Expressive Wines from Small Growers"
WE ARE DEDICATED TO THE EXTRAORDINARY CRAFT OF THE PEOPLE BEHIND THEIR WINES, SINGULAR WINES WITH TRUE IDENTITY AND EXPRESSING THE UNIQUE LOCATIONS OF THEIR ORIGIN. BEHIND EACH OF THESE ESTATES ARE WINEGROWERS WHO DEVOTE THEMSELVES HONESTLY TO THEIR SOILS AND THEIR VINES. THEIR WINES EXPRESS THEIR WAY OF LIFE, THE LEGACY OF THEIR LAND AND THEIR BOND WITH NATURE. DETAILS: A celebration of Pétillant Naturel (Pet Nat) for short featuring wines from Vacationland Distributors and Caviar from Browne Trading Company. Pétillant Naturel translates to "naturally sparkling" and is a sparkling wine made from ancient methods. They’re unfiltered, cloudy, funky and fun wines making a come-back in a very big way! The only thing more fun than drinking these natural sparkling wines on a Sunday afternoon is pairing them with caviar! RESERVE: This is a non-ticketed event. All are welcome. No reservations. 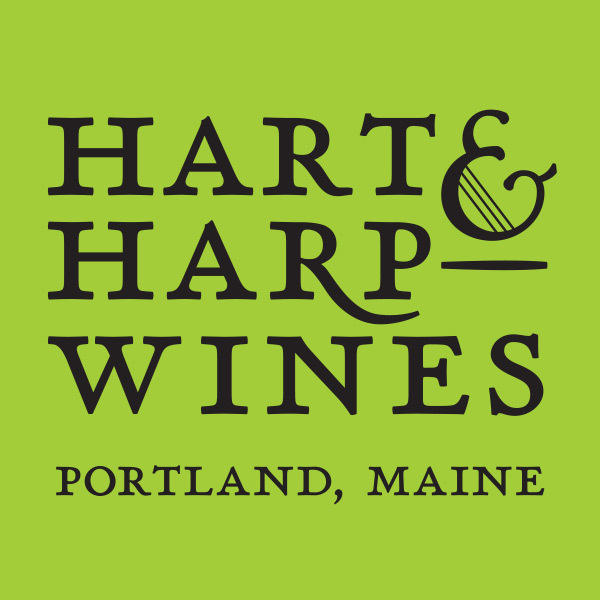 DETAILS: Join Sommelier Erica Archer, CWP, WSET Advanced for a gorgeous scenic wine sail on board the 74-foot gaff-rigged topsail sloop, Frances, built by her Captains and crew on Portland's waterfront as you explore some incredibly delicious examples of Pinot Noir wines that you'll love to have in your repertoire.